Jas was spot on and amazing. I laughed so loud I am glad I sit inside a sound proof room and nobody could hear me. If you need loud crazy characters, Jas is the one to hook up. Great stuff. Jas was truly a pleasure to work with! He was able to take our direction and bring it to life quickly. I would highly recommend Jas for your voice needs he was professional and exactly what we needed. Incredible performance, Jas gave us a very accurate and precise interpretation. Also, an excellent professional, he brought us the audio mixed and masterized, he is absolutely pro. Jas is a true pro! Easy to work with. He provides quality demos, thorough communication regarding details of the project, and a quick turn-around. I highly recommend his services for your next project! Jas was awesome to work with and we will DEFINITELY use him again in upcoming projects! He pays close attention to detail and wanted to make sure we were completely satisfied with the end product. And we most certainly are!! Thanks!! I gave Jas 5 out of 5 stars but I would have given him 1000 out of 1000 if that would have been possible. He just did the most amazing job. First of all he delivered my script in three different accents (North-American, British and Irish). All three sounded like they were recorded by a native speaker (to this day I still don’t have a clue where he’s from originally). On top of that I think I’ve never had better customer service in my life. I’ve asked him several times to do different takes with different intonations and nothing was ever too much or a problem. Even when I changed my opinion and I wanted to have a certain part of a script done in a way that I had previously changed myself, the response was always the same “sure, no problem I want this to be 100% right just as much as you”. Also the speed at which he kept delivering the different takes after I asked him to change certain things was absolutely amazing. I’d usually have the new takes within the hour (if not sooner!). If you’re looking for a great voice, a great performer and and an amazing professional with 100% satisfaction guarantee, look no further! I’m sure I won’t look any further for my next jobs. Jas was a pleasure to work with. For our promotional video, minor vocal details were essential for conveying the images shown. Not only was he able to manipulate his voice in the appropriate fashion, Jas followed the requirements and instructions specific to each line of copy. His turn around time was very fast, often sending revisions within 4 hours. Jas was in constant communication through out the process. Extremely professional and highly recommended. A pleasure working with Jas. He is a complete professional who gave the time to get the voice we needed for our project. Looking forward to working with him again. Very easy to work with! Took his time and did an exceptional job! Jas did a great job on the eight spots we needed for our recent exhibit. He was easy to work with and went out of his way to make sure the spots would work for us. Would definitely work with him again! I wanted a new voicemail greeting that sounded professional, but was really amusing at the same time. Not knowing where to begin, I asked Jas to write something funny and creative, and I was blown away by what he delivered! 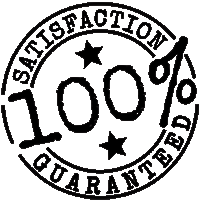 I Offer All Jobs a 100% Satisfaction Guarantee! Request a Quote or Custom Audition For Your Next Job!